The North Face 100 invites running athletes and enthusiasts to a trail-blazing race to the coolest place in the Philippines as it brings the Asia's 1st Trail Running Ultra Marathon to Baguio-Benguet. Now on its third year, The North Face 100 continues to test the strength and endurance of our runners to define their personal limits in treading the rough paths and treacherous mountain trails in the Philippines' summer capital and one of the exciting provinces very rich in culture. Both aspiring trail running beginners and seasoned race runners can take part in this annual trail running event - including those who are mountain climbers, outdoor enthusiasts or just anyone who wants an active lifestyle outdoor. 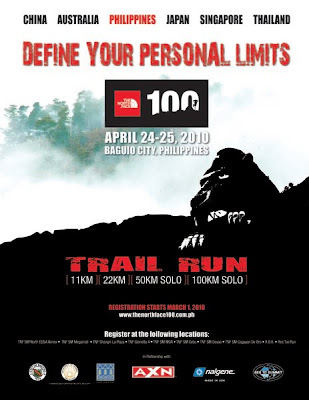 Everyone is enjoined to take running to the next level and be part of the running history as TNF 100 traverses unexplored trails of Camp John Hay, the PMA grounds, Mt. Sto. Tomas and Tuba until you reach the finish line at the iconic Burnham Park. I get to like running these days because I believe that it can help me be fit and healthy. Although I must say that, despite my high tolerance for pain and hardship, my body has its own limitation. I'd also want to improve my breathing since I had terrible asthma when I was younger. I'm thinking about joining in this trail run because I have a penchant for challenges & adventures. I just hope that my body and lungs can endure all the difficulties I will have to face. Gear up for the 11K, 22K, 50K or 100K solo races. 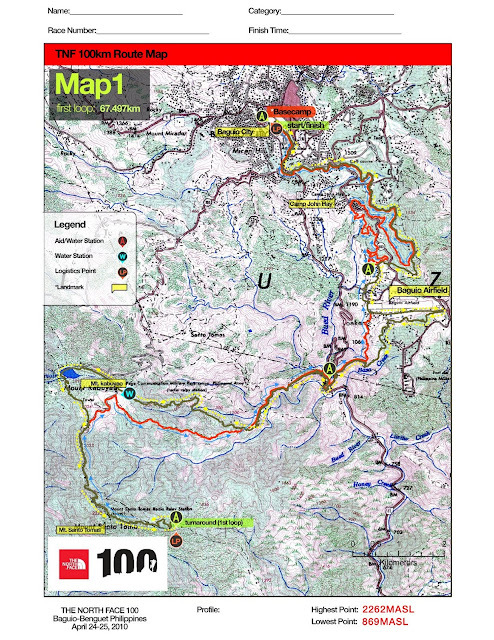 The North Face 100 is considered the largest trail running series there is today. Six (6) Asia-Pacific countries are participating in this event: Philippines (April 24-25), China (May 8), Australia (May 15-16), Singapore (October 9), Japan (October - TBA) and Thailand (November - TBA). 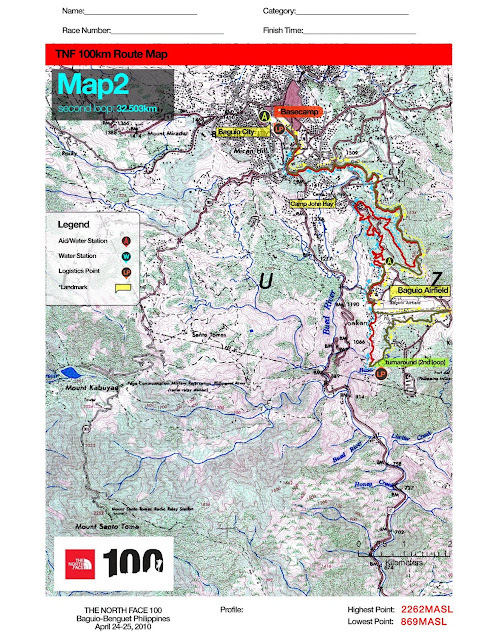 it is a tough course, i have seen the trail during my younger years and it is tough. well done north face hope you do it again here next year! Hi Victor. Thanks for dropping by. Did you join the trail run? I did. I had so much fun as it was my first time to do a trail run marathon. Where you from? @NAPOLEON: Did you join last year? I hope I could join again this year.